Tore Olsson, assistant professor in the History Department, has recently received two national awards for his dissertation. In addition, an article drawn will appear in the Journal of Southern History, the major venue in his field. 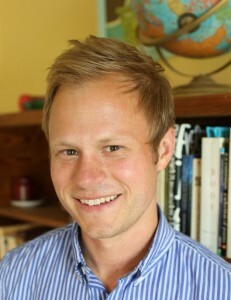 The dissertation awards are the Oxford University Press USA Dissertation Prize in International History, granted by the Society for Historians of American Foreign Relations in June 2014, and the Gilbert C. Fite Dissertation Award for the best dissertation in agricultural history, granted by the Agricultural History Society in June 2014. His article is “Sharecroppers and Campesinos: The American South, Mexico, and the Transnational Politics of Land Reform in the Radical 1930s,” accepted for publication in the Journal of Southern History, which will come out in the summer of 2015.